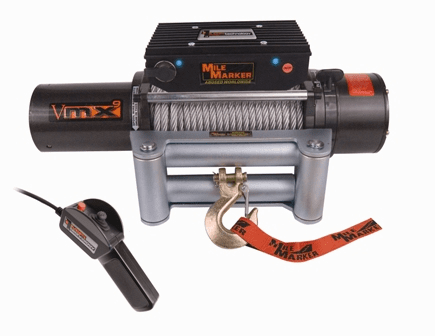 The Mile Marker Electric Winch Line offers the more traditional off-road enthusiast an electric alternative to our Hydraulic System. 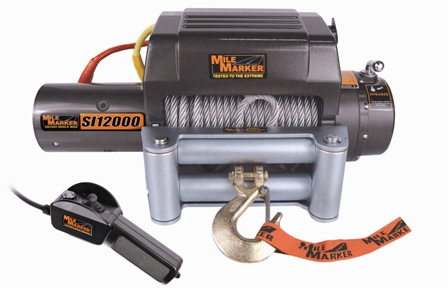 These winches have been tested to the extreme and will undeniably prove to be the most necessary accessory to your off-road vehicle. 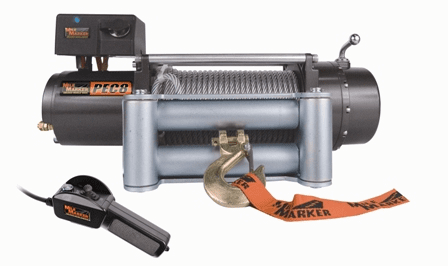 Mile Marker electric winches offer superior pulling strength while maintaining a low electric current. From the potency of a permanent magnet motor to the durability of a series wound motor, Mile Marker has an electric recovery tool to handle every job imaginable. 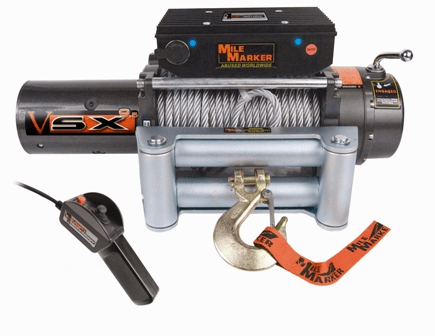 All Electric Winch systems now include FRP (Fiberglass Reinforced Polymer) Sheaths on all cable connections for added heat and abrasion resistance. 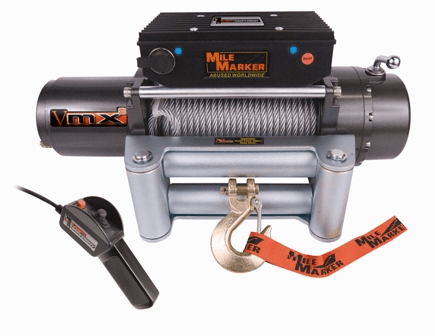 Mile Marker has also expanded its development of solid state control and variable speed line retrieval with MiFi Technology�, the most innovative recovery control in the world. 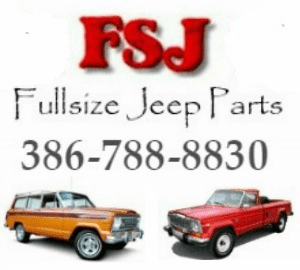 By eliminating the electromechanical solenoid and utilizing M.O.S.F.E.T. drivers, MiFi Technology� is the safest and most reliable recovery system available today.